Came to see Dr. Lebl in January for a c5-6 herniated disk. Performed surgery on March 6, 2018 after two months i was already back to the gym and feeling back to myself again. Great Doctor with a wonderful bedside manner. He explained everything in detail to me and made me comfortable before and after the surgery. Photo attached was three weeks after surgery, can barely see the scar. Johanna Faricelli is an equestrian with a passion for all things horses. After starting to feel pain both in her hip and back, she traveled from Florida to New York to seek care at HSS. Johanna underwent a hip replacement with Dr. Seth Jerabek and two spinal surgeries with Dr. Darren Lebl. I am an active 60 year old woman who moved to New York from Pennsylvania in June, 2015. I had been having back pain with radiculopathy for several years. I saw a surgeon at local medical center for 3 years, who initially recommended conservative treatment. After 6 epidural corticosteroid injections, 3 rounds of physical therapy, and daily oral diclofenac, I was still getting worse. My surgeon and I felt surgery was my only alternative. He recommended a fusion of L4-5, and L5-S1. I scheduled surgery and had another MRI in preparation. When I read the radiologist's interpretation of the MRI, it was clear that I had a significant spondylolisthesis at L3-4, which was, radiographically, my worst level. Since I was now living in New York due to my career, I decided to seek a second opinion at HSS. Based on my research, I chose to see Dr. Darren Lebl. Thankfully, he agreed to see me almost immediately. Within a few weeks, I had had a diagnostic CAT Scan, and met with Dr. Lebl. He felt, consistent with the MRI from the previous medical center, that my worst issue was at L3-4, but that I also had a cyst and significant bone spurs at L4-5. He felt that while I had stenosis at L5-S1, that I would be able to cope with that. He recommended a fusion at L3-4, with the insertion of an artificial disc, and a laminotomy at L4-5 for removal of the cyst and osteophytes. I was so totally impressed with, and confident in, Dr. Lebl, that I scheduled my surgery that day. I had that surgery on January 11th, and it was a resounding success. I am virtually pain-free today, and have no remaining nerve symptoms. The attached picture is of me (yes without makeup and with my hair a mess!) when I just finished walking a mile at Kensico Dam, 10 days after my surgery!!! Additionally, my Husband and I took a very active trip to Alaska for 15 days in May, and I was back to playing golf in July. I can't say enough about Dr. Lebl. He is a tremendously gifted surgeon, who truly cares about his patients. He always spent all of the time that I needed when I saw him in the hospital or his office, and he thoroughly explained the surgical procedure and my expected result and recovery, to both my Husband and me. He personally came to see me each of the 7 days that I was in the hospital, which is unprecedented. I have recommended him to others already, and my Boss' husband is scheduled for surgery with Dr. Lebl in October. I will continue to see Dr. Lebl for any back problems I experience in the future, regardless of where I may be living. I don't think you could find a better or more caring spine surgeon anywhere!! Thank you so very much Dr. Lebl, for getting me back in the game! Back in 2012, it became clear that I would have to undergo spine surgery as I had exhausted every other treatment option available. After consulting a spine surgeon in NJ, and following my primary care physician's advice, I decided to consult the spine surgeons at HSS. As soon as I met Dr. Darren R. Lebl, I knew I had found the surgeon that I would trust my spine to. I'm glad I did because Dr. Lebl is a brilliant spine surgeon. He is a great diagnostician and a 'top notch' spine surgeon; taking the time to explain the findings, as well as the procedures. 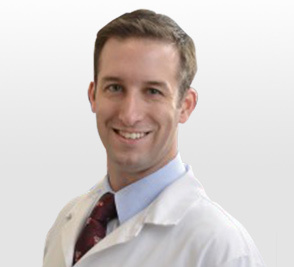 Dr. Lebl shows great concern for his patients, always keeping their best interest at heart. Dr. Lebl is soft-spoken, caring and compassionate. I will remain eternally grateful to Dr. Lebl, his surgical team, his assistants, his PA and all of the hospital personnel that contributed to my recovery. Thank you for helping me "get back in the game". A special thanks to his assistants: Jiselle Manohar and Lily Marchena; you're efficient, professional and a real pleasure to work with. Thank you to his PA, Vanessa for always coming to my rescue. Thank you to all the amazing nurses that cared for me. I chose Dr. Lebl in early spring after getting a finally accurate devastating diagnosis December 26th, 2014. I do not regret seeking a second opinion and deciding to go forward with HSS & this surgical team. Planning with family and other preparations went through the summer for a mid September surgery date. At this writing, six days after a 9 hour procedure, I'm going home up two flights of stairs, slowly, and without a cane. As I'm not permitted to lift over ten pounds for a few weeks or carry anything, I can also go up those steps without holding onto the railing if I chose to, as I was taking two steps at a time in the PT dept. during recovery to prepare for the higher steps at home. I intend to provide additional updates as recovery continues. From what has been called 'spinal reconstruction surgery', where I was so scared of the complexity of the procedure I wrote a will and considered the prospect of not coming out of the operating room alive (and I've had a number of other surgeries), no discredit to the surgical team. It was just that major. Going forward was the only way to potentially have a quality of life in later years, and I had every hope of coming out better than going in. To be walking unassisted with a normal or unchanged gait before leaving the hospital and maybe even able to dance and be an athlete again has more than pleasantly exceeded expectations. It's really possible, and the staff at HSS has been exceptional as well. At the age of 15 is when I had my first spinal surgery at a hospital in Morristown, NJ. A tethered spinal cord, which was described as "an easy fix". Surgery seemed impossible at such a young age, but living life on pause and being robbed of my love for horseback riding was no way for me to begin my life. After surgery time had passed, and I began feeling normal again, until a new scan revealed a stress fracture at L4, a fracture that began to cause me more pain I had ever experienced before. Many different doctors had turned down my case, fearing that doing a spinal fusion on a 16 year old would be too dangerous. It was then that we turned to the innovative way of Hospital for Special Surgery. Meeting Dr. Darren Lebl, my mother and I knew he was not like the other doctors. When we met him at first, we felt hope, instead of fear, as he gave us an option we had not heard before. Even though it wasn't guaranteed, just like any surgery there was a chance it wouldn't fix the problem, but somehow just a different surgical answer to the pain seemed life changing. On New Years Eve of 2013, I had my second spinal surgery, a bone graft placed at my L4 vertebrae, in attempt to alleviate the pain I had had for so long. Recovery was long, but I eventually began to feel my life moving forward. I was riding horses again, which is something I had began to fear I would never have back. The back pain returned my summer before senior year, and with much disappointment we had discovered the bone graft was taking, and it was time to think about a fusion again. Through this time, HSS, especially Dr. Lebl, provided me and my family with an answer to every question, and helped us comfortably make the decision for me to have a spinal fusion, L4-L5, at the young age of 19. The recovery was long, and the stay in the hospital felt like eternity, but I don't think I would have felt more at home in a hospital bed than I felt staying at HSS. As I left after about 2 weeks, I couldn't thank the nurses enough for the care and support they provided me. Although the months after were painful, I am now 8 months post op and have a clean bill of health. Dr. Lebl and the entire HSS staff has provided me a life I was scared I would never fully be able to live. About a month ago, I was able to get on a horse again, and I realized it was all worth it to feel that joy again. I can leave for college next month, and finally move forward without being plagued by back pain, and I know I couldn't have done it without HSS. My family and I will always be grateful for these doctors and this hospital for allowing me to press the play button on my life again. After several years of progressively worse back pain and treatment from a chiropractor, physical therapist, and pain doctor I made the decision to get the surgery that was called for to have any hope of long term relief. I met with two local orthopaedic surgeons, and lastly with Dr. Lebl at HSS. A little research revealed Dr. Lebl's resume to be head and shoulders above the others, by education, experience, and training. The hospitals' low infection rate was also a factor. I underwent a 5 1/2 hour surgery last June. Rehab and recovery, while painful, was more or less what was discussed and expected. Within six months I was well on my way to a good recovery. Within a year I resumed activities I love, kayaking, tennis, and of course wrestling with three young grandsons. I've been back to my retirement job as a personal trainer for almost a full year and recommend HSS to all my weekend warrior friends and acquaintances. At 68 I'm grateful every day for being able to move around pain free. I must mention the professionalism of the hospital staff as well. I was attended to by a United Nations of staff who couldn't have been better. Thanks for the forum to express my gratitude. Although I am early in my healing, Dr. Lebl has given me the greatest of gifts already - I woke up from multi-level major spinal surgery with the ability to regain control of my right arm already returned to me! I recall my Father’s often used expression of exclamation and wonder. A particular endearingly colloquial expression at reclamation of good fortune and tides turned. “Now for that - I’d cut off my right arm!" I believe that it’s a battlefield exclamation, ingrained in the consciousness of those who defended Our Nation in wartime, like my Father. I wish I could shout out loud, “The use of my right arm has been returned to me, by the surgeon Dr. Lebl!" Dr. Darren Lebl, orthopedic spine surgeon, is a great blessing that I am endlessly thankful for. For Dr. Lebl’s surgical expertise, his diagnostic precision, and his compassionate care, I am ever grateful! He explains your conditions, the options, and goals of each step of the surgical procedure in full clarity, detailing the necessary procedures to regain functionality. Using your MRIs and radiological images, Dr. Lebl illustrates and conveys to you, his patient, a thorough understanding of your surgical treatment goals. In easily understood clarity and with compassionate patience Dr. Lebl explains procedures expertly. In respectful listening to your concerns, from your very first diagnostic meeting throughout your surgical experience at HSS, and throughout your post-surgical recovery process, Dr. Lebl and his staff provide unsurpassable, inimitable world class care! When it comes to choosing your spinal surgeon, know that who and where you choose enables the quality of the rest of your life. I wish to express my great appreciation and gratitude to Dr. Darren Lebl, the entire staff involved in my care at HSS, and to also the tirelessly professional dedication of Jiselle Manohar, Dr. Lebl’s office manager at Hospital for Special Surgery. Thanks to Dr. Lebl I was accurately diagnosed with misplaced screws that extended into my spinal muscles, and after 5 years he removed them and gave me my life back. A doctor here in Michigan performed surgery and the screws were in the wrong area. I came to HSS to get a diagnosis from our countries' best surgeons. Dr. Lebl did not disappoint. He accurately diagnosed me and performed the revision surgery. I awoke without the terrible pain down my leg that plagued me for five years. Now thanks to Dr. Lebl I'm able to participate in life once again. Before surgery I couldn't sit for more than 15 minutes without extreme pain in my back. I'm not only able to sit long, but I'm able to do so much more. I'm amazed at how different and well my back feels. Dr. Lebl literally gave me my life back. I'm so appreciative and cannot express my gratitude. Dr. Darren Lebl is an amazing and talented surgeon. I was a runner and a few years ago started getting these awful headaches and neck aches. I was always told, either I had a sinus infection or was under too much stress. They'd pass but not after taking Aleve and not running for a few days. I'd run through the discomfort and pain as much as possible. Back in September of 2013 I had an awful headache, by far the worst I had experienced. Again pushing through it I went riding, (horses that is) something I had missed so much. I ended up jumping a nice line of fences, not something I couldn't do since I was a good rider. Went home that night and the headache was unbearable and the neck pain was even worse! I put up with it as I always did for a few days. Then I was in tears. I went to my Neurologist right away. She sent me for an MRI that day. That evening she called me and told me to see a surgeon ASAP for an evaluation. Scary of course after she had told me about my spinal compression and herniated discs. I immediately called HSS. I went to see Dr. Lebl after a lot of research. What an amazing doctor. Not only was he so incredibly informative but so willing to answer my many questions. I scheduled the surgery for January 15th of 2014. Not an easy surgery but I must add I was able to swallow with no pain almost right away. I couldn't be happier. I am running, swimming, hiking, zip lining, feeling great! No more headaches, no neck pain. Dr. Lebl is an angel to me. I would recommend him to anyone needing surgery. I truly feel wonderful thanks to Dr. Lebl. After 11 years, 47 doctors, declared disabled I went to see Dr. Lebl. I had some of the most mysterious symptoms anyone had ever seen. One neurologist said it was in my head well most of it was in my neck. Every disc as one point was herniated, everything was collapsing. I could not sit for long, stand for long and pain was my middle name. Multiple medications, wrong diagnosis, chronic migraines, I could not drive anymore, I could not walk backwards, I would fall over in my yard. I was a prisoner in my own body. I could not tell anyone being a public figure, my insurance would not even pay for pain treatments anymore in my neck. I sued them, Dr. Lebl did my surgery on the worst disc last year 2 days after Christmas when I woke up it was like something had turned off in my body. The tremors had almost ceased. I had my second surgery just 2 weeks ago with Dr. Lebl again...I am able to do more than ever. I will dance again. I lost my ability to sing after the cervical fusion but after one year and retraining my voice I can sing again. Praise God for HSS. I am planning to do my one woman show in the spring, it is going well. I have not been able to do it over any period of time due to my illnesses. Just to have some sense of consistency is something we really take for granted. It is not the big things that make life worth living. It is the small things we take for granted, just being able to drive is huge for me, it means independence, freedom, and a sense of self. I don't need to be who I was...I just need to be who I am now. If you have your health you have it all. Thank you HSS I am a fan! My journey began with a severe car accident on March 12, 2013. I was involved in a rear impact car accident and suffered severe injuries. At the recommendation of a former student of mine I contacted Dr. Lebl. From the moment I met him and his staff at HSS I knew I had come to the right place. He explained what was wrong with my neck and back and asked what I wanted to do first my neck or my back. Being a teacher I didn't want to miss the start of the school year so I opted for my neck. From start to finish I was dealt with in a professional manner and my worries were at ease because of Dr. Lebl. I had a five level neck fusion and believe it or not was back at work 3 weeks later, Therapy went great and on my final check up we went for a back exam and Dr. Lebl informed me I had a fracture and we would need to repair the damaged areas as quickly as possible so my plans were made and in April 2015 my l-5 disc was replaced and I felt the positive results while still in the hospital. The recovery was a bit longer but I am back at school, loving my new chance at living pain free and enjoying teaching culinary arts and coaching basketball. I wouldn't be here with out Dr. Lebl, my former student and the rest of the staff at HSS. Thank you, thank you, thanks you!!! Dr Darren Lebl is a great blessing that I am endlessly thankful for. For Dr Lebl’s surgical expertise, for his diagnostic precision, and for his compassionate care, I am ever grateful! He explains your conditions and the options and goals of each step of the surgical procedure in full clarity. Detailing the necessary procedures to regain functionality. Using your MRIS and radiological images to illustrate a thorough understanding of treatment and healing pre surgery through post recovery! ble removed a larger than normal synovial cyst. He and his staff were all very pleasant and extremely efficient. I have no hesitation in recommending him or HSS. After an emergency disc rupture, Dr Lebl gracefully found a way to get me on the surgical schedule as an emergency add-on procedure. He had me out of the OR by the evening. I was then out of the hospital in about two days, and after almost a year I've seen a full recovery. If it weren't for Dr. Lebl, and if I didn't have a skilled surgeon familiar with my condition willing to operate on me in less than 24 hours, I probably wouldn't be walking normally today and my life would never be the same. Dr. Lebl operated on my lower back, I could barely walk when I went in his office the first time. After three days in the hospital I was walking the day after surgery ( pain free ). Dr. Lebl did an amazing surgery for me, I would highly recommend him for back surgery. Thank you so much Dr. Lebl. So I had my surgery and it was a success!!!! I couldn't be any happier!!! I got immediate relief after surgery!! I took 6 weeks off and back to work i am and i'm doing well... i was in pain for like 2 days, then after that i just kept putting ice on my incision and it helped it heal quicker. My incision is small, cant barley see it... I am grateful to Dr.Lebl! He literally changed my life around, now i can drive pain free, do activities with my kids, and most important NO MORE PAIN!!!! My story began in 1/16 with extreme pain in my lumbar region. At first I tried steroid shots which only left me in more pain when they wore off. Dr. Lebl had operated on my twin sister 9 months before. My surgery was as extremely successful as my sister's had been. We are both totally free of any spinal pain-able to take long walks and this winter we will be back to winter sports-skiing at 71! Dr. Lebl is not only a brilliant surgeon, but kind and friendly-as is his wonderfull staff. Dr Lebl is a very talented surgeon who also is extremely warm and compassionate. I previously saw two other spine surgeons but after meeting Dr Lebl my wife and I decided that he was the one we wanted to use. He decided to do a microdiscectomy, laminotomy and decompression as opposed to a fusion and the results have been miraculous. No more sciatic pain! He and his wonderful staff have literally been life savers. I can't say enough about Dr. Lebl. He is a tremendously gifted surgeon, who truly cares about his patients. He personally came to see me each of the 7 days that I was in the hospital, he always spent all of the time that I needed when I saw him in the hospital or his office, and thoroughly explained the surgical procedure and my expected result and recovery, to both my Husband and me. I would highly recommend Dr. Lebl to my friends and family for any spinal issues. Dr. Lebl performed a very complex spinal surgery on me. He is a very skilled & talented surgeon who is also compassionate & caring. There is no one I would have trusted more to do this surgery than him.He spends the time to review, understand your situation & explain the procedure thoroughly. He truly cares about his patients. His office is like a well oiled wheel: every detail handled-every call returned. I only have the highest regard for Dr. Lebl & his amazing team and highly recommend them! Almost two years ago, I had been suffering from chronic sciatic pain in my left leg due to a herniated lumbar disc at L4/L5. In highschool I did a lot of extreme sports, and I finally realized a long-term effect. It began to adversely affect my life, and I was no longer myself. I had visited many spine specialists and heard varying opinions, but finally decided I should go to NYC for HSS as my condition was not getting any better. I had done a lot of research on HSS spine surgeons and decided that I wanted to see Dr. Lebl based on his background and success stories. I could not be happier that I did and couldn't have predicted that he would basically save me from paralysis. After getting an MRI, he reviewed my condition and noted that my disk at L4/L5 had a significant herniation and that i would be a candidate for surgery. I decided that I wanted to avoid it for a long as possible and would try a steroid injection. About 2.5 weeks after the injection, I bent over to tie my shoe, stood up, and immediately collapsed in the worst pain of my life. It felt like someone put my entire left leg in a furnace. My leg was 90% paralyzed almost immediately, and I went to the ER within a few hours. After admission, I got an urgent MRI and discovered that my disc had ruptured and began collapsing my spinal cord, diagnosed as what is considered early cauda equina syndrome. Dr. Lebl was right, and I should have had the surgery. Amazingly, he had heard I was in the ER through his PA I was in touch with, and he sent someone to see me and get me transferred to HSS. The next morning I was at HSS, and he gracefully found a way to get me on the surgical schedule as an emergency add-on procedure. He had me out of the OR by the evening. I was then out of the hospital in about two days, and after almost a year I've seen a full recovery. If it weren't for Dr. Lebl, and if I didn't have a skilled surgeon familiar with my condition willing to operate on me in less than 24 hours, I probably wouldn't be walking normally today and my life would never be the same. Dr. Lebl is a life saver, and he is an amazing spine surgeon... One of the best in NYC. If you have a back issue, he is worth the wait to see. I would highly recommend him to anyone, and I am forever grateful that he is my doctor. After a year and a half of having epidurals by a pain management doctor, I finally decided to have surgery and was very fortunate to find Dr. Lebl who performed a laminectomy on me 2 months ago. I am now pain free and had a very good experience with him and his office staff! I am nearly 6 months out from my surgery at Hospital for Special Surgery and I couldn't be more grateful. After nearly 2 years of chronic pain, I am finally able to walk pain free. I still do physical therapy twice a week and do exercises and stretches daily but finally putting in the work pays off. From my first call to Dr. Lebl's office, there was a welcome nature and professionalism that opened the door to this success. Dr. Lebl's talent is remarkable. I greatly appreciate his honesty and confidence with his work. He didn't say what I wanted to hear, instead he advised with his experience and honest opinion. I am so glad I made the decision to come to New York after two unsuccessful micro disectomy surgeries in DC. My DC doctor advised that I needed fusion surgery but Dr. Lebl suggested he do a more full micro disectomy and it was definitely the right choice. Why put screws and rods in your body if you don't have to. I have lost my sciatic nerve pain and beginning to live a normal life again. Thank you Dr. Lebl. Dr. Lebl performed complex spinal surgery on my lumbar spine, in January, 2016. I can't say enough about Dr. Lebl. He is a tremendously gifted surgeon, who truly cares about his patients. He personally came to see me each of the 7 days that I was in the hospital, he always spent all of the time that I needed when I saw him in the hospital or his office, and thoroughly explained the surgical procedure and my expected result and recovery, to both my Husband and me. I have recommended him to others already, and a dear friend's husband is scheduled for surgery with Dr. Lebl in October. I will continue to see Dr. Lebl for any back problems I experience in the future, regardless of where I may be living. I don't think you could find a better or more caring spine surgeon anywhere!! Thank you so very much Dr. Lebl! Dr. Lebl performed a very complex spinal reconstruction surgery on me. He is a very skilled and talented surgeon and there is no one I would have trusted more to do this surgery than him. Dr. Lebl spends the time to review, understand your situation and explain the procedure thoroughly. He is precise and really cares about his patients. I only have the highest regard for Dr. Lebl and his team. His office is like a well oiled wheel. Every detail handled and every call returned. I have been receiving excellent, compassionate care and genuine concern from everyone. I highly recommend Dr. Lebl and his Amazing Team! I have been in debilitating pain for many years with lower back pain radiating down my both legs. Dr. Lebl performed a spondylolisthesis of Lumbosacral region - my pain level before the surgery was a 10 and now I am almost pain free. The pain from the spinal steno-sis , my disc issues and radiating leg pain was excruciating. I have had two previous surgeries - one to implant a Spinal Cord Stimulator - this gave me minimal relief at best. Dr. Lebl had to remove all the hardware that was in my back from former surgery that was causing me additional pain. Both procedures could have been avoided had I know of Dr. Lebl. I have a Pace Maker and use a C-Pap machine with oxygen for Sleep Apnea - I have had surgeons refuse to operate on me because of this and my age - 85 years young. From my initial consultation to the followup appointment after surgery - I can't give enough praise for Dr. Lebl, his staff and the HSS. I am in therapy now and the rest is up to me. I "Thank You" Dr. Lebl - you are truly a surgeon with "Gifted Hands". After all the tests, MRI, CAT, X-Rays Dr. Lebl explained to me that a laminectomy would help with my excruciating spinal stenosis pain. I was relieved beyond description, fearing that the severity of the pain I was experiencing would require the more complicated fusion. So, I had the procedure on a Wednesday and was back home that Saturday. Post-op pain barely registered. HSS arranged VN and PT services, which started immediately and ended when they deemed I was okay on my own. I had a post-op visit with Dr. Lebl, got a scrip for outside PT, and am as happy as a clam! I am actually standing and walking without pain for the first time in...years! Now, if I choose not to go out it's due to laziness [ :D ] and not because I couldn't walk 1/2 block without excruciating radiating leg pain. After the surgery, Dr. Lebl told my friend waiting in the visitors' area that all went well and that he thought I'd be very happy with the results. That, my friends, is a huge understatement. Each time I go out I'm still amazed that I'm actually walking, even running (gotta catch that bus!) with no discomfort. Very happy? I am ecstatic! All due to Dr. Lebl. His PA and office staff are non-pareil. He's the calm, non- aggressive doc you want to solve your back woes! Kudos to Dr. Lebl! Dr Lebl fixed a huge problem in my spine. I had surgery in Michigan by a Dr who blew me off after telling me I had a failed back surgery. For 5 years my left leg wasn't able to move, there was not only severe pain but extreme waisting away of the muscles I finally found out why after Dr Lebl reviewed my CT scan. Apparently the Michigan Dr didn't want to tell me the spine screws were too long. And they were lodged into the psoas muscles that support my spine. Dr Lebl said that the screws needed to come out and since he was the only one that told me there was an incomplete fusion, I needed a refusion. Dr Lebl thank you so much for the fine work you did repairing another surgeons mishap. I don't know where I'd be without you. I can now sit without much back pain. One of my reflexes actually came back that was dead for 5 years, and you gave me my life back. I appreciate you so very much. Words cannot describe how fortunate I feel that I came out to see you from Michigan. You are one of a kind. My experience with DR. Darren Lebl was just great. My initial consultation was excellent Dr Lebl explained to me exactly what was going on with my back also While showing me all the ex rays and going over what needed to be done to make it right. Also loved the way he swirled his Pen in his hand without dropping it. Dr. Lebl preformed a major thoracic spine fusion apprx 6 to 7 levels . Surgery was a totally Success . My back has not felt this good in 3 years.. Thank you DR Lebl. Dr. Lebl was very attentive and explained the diagnosis very clearly. The results have been excellent! Dr. Lebl saved my life. I am beyond grateful. When I met him I was in severe pain because of 2 previous surgeries I had. Dr. Lebl was able to find the problem immediately after reviewing my case. I had a ton of loose screws, a few misplaced screws and Staph infection. Dr. Lebl fixed me and because of him I am able to walk again and live my life pain free. Immediately after surgery I felt a huge difference. God bless Dr. Lebl! In making the choice to have spinal fusion surgery, I was worried about the impact the surgery could have on my active lifestyle. I sought a young doctor that specialized in motion/mobility preservation. I found Dr. Lebl in my research, and soon decided he was the right surgeon for me! Dr. Lebl's staff was incredibly supportive throughout the months of preparation and recovery before and after surgery. Dr. Lebl himself made sure to check in on me during my stay in the hospital, and I felt very well looked after by the entire team. Not only was my experience characterized by thorough care by the entire team, but I also recovered quicker than was expected, and I am back to my active lifestyle only 6 months post-op! I highly recommend Dr. Lebl and his team for any spinal surgical needs! I saw Dr. Lebl for a degenerative disc disease, Scheuermanns Disease. He was the 4th doctor I had seen in 2 years and considered him because I had recently had another operation at HSS that went very well. I had very quickly made up my mind after having a short meeting with Dr. Lebl. At this point, I knew I needed surgery but I had not had a Dr. sit down and explain in the detail and relatable way that he had. He explained exactly what needed to be done, why it needed to be done and of course how it would be done in a manner that I had yet to see. He made me comfortable with the decision very quickly. I am now over 1 year out of surgery, have a T2 - L2 fusion and am doing great. I have severe osteoarthritis in my spine, hips, knees, wrists, elbows and shoulders. I had an accident in 1968 and arthritis has been a constant companion. Over the last three years, having had a failed spine surgery in 2010 and a total hip revision in 2011 my posture was me looking strait at the ground. my spine had bent to forty percent. I was aided by a cane, couldn't walk more than a couple of hundred feet. I had what was called a failed back. Severe kyphosis, stenosis. osteophites, compressed disks, and broken hardware from my last surgery. I began my quest to find the right surgeon. A few months later, I found Dr. Lebl. I had gone to Mass. General, Boston, Mt.Sinia, N.Y., Twin Cities Spine Center, Minn. and Dr. Lebl at The Hospital For Special Surgeries, N.Y.C. Once I met Dr. Lebl , I knew he was the one. His professionalism, patience in explaining the procedure and why I needed this procedure, and risks and outcomes, and most of all his passion. I didn't feel like just another surgery patient. He was interested in fixing ME. I was very relaxed in his care. Dr.Lebl worked on my spine for fourteen hours ,strait. He fused and straitened my spine from thoracic 1 down to sacral 1. Anchoring from the lower pelvis. The whole team in the o.r. were amazing. When I awoke the next day my only worry was that Dr . Lebl didn't get to eat. I saw him that morning and he assured me that he was o.k. My wife and children were in the waiting room till eleven o'clock that night. After the surgery Dr. Lebl came to them to explain everything and sat with them. While I was at Hospital for Special Surgery, Dr. Lebl came by my room every day, never in a rush, always there. I'll never be able to thank Dr. Lebl enough, I just hope he knows how gifted and special a person he is. I will be forever grateful . You Can't Get A Better Spinal Surgeon Than Lebl!!!!! I am forever grateful to Dr. Lebl. He transformed my life from one of relentless pain, (I'm not a complainer) rockets of fire and ice shooting up my legs, not being able to stand for more than 30 seconds to once again having a normal life. For 40 years I've had increasingly bad back pain. I'm 75 going on 25 now thanks to Darren Lebl. Dr. Lebl is a perfectionist. He replaced 3 discs with 2 rods. During the operation he realized it wasn't perfect so he redid it. After 40 years I am pain free, AND I have a straight back which I never had. Yes, of course I have twinges on bad weather days and I'm a little stiff, but that's age. I excercise 7 days a week and I almost have all my flexibility back again. In addition to his intelligence, training, skill, his trully caring about the patient, listening carefully, and explaining what is essential and not rushing, his perfectionism adds to what makes him a great surgeon. He redid my operation because he wanted it to be as perfect. Who but a young person, could have that kind of bladder control for 8 hours. Youth is his trump card! I went to Burke for rehabilitation and heard so many horror stories of people who were in a second and third time because of botched operations. You wont find a more caring and qualified doctor than Dr. Lebl. Dr. Lebl was able to fix my cervical spine after many years of severe shooting pains. I saw several doctors and wish I had come to him first. His review of my MRI, CAT scan, and xrays were very thorough and on point. Overall a great experience with Dr. Lebl and his staff. Highly recommend!!! The office staff and Dr. Lebl were very professional and the results of surgery have been great! Dr. Lebl was able to relieve years of pain. Before sugary, I walked bent over, walking on the beach was a definite no, running was a passion which I could not do any more, 19 marathons, wanted to make an even 20. Scheduled an office visit. Dr. Lebl was confident that he could relieve my pain after reviewing all reports and scans…and after a spinal fusion, my pain was gone! My recovery, I feel, was better than I imagined…it has been six months and he gave me the OK to resume everything, even running…Dr. Lebl and HSS did have my back..do not hesitate to schedule an appointment to see what this wonderful Doctor can do for you. Maybe there will be another marathon !!! Dr Lebl is an amazing person and one of the best surgeons for spine I've ever known!! After 5 years of living with unrelenting pain from a surgeon in Michigan left my leg paralyzed and win off the charts, Dr Lebl had enough where with all to find out the terribly mistake performed on my by a Dr here in Michigan. He took out misplaced screws and needed to fuse the area the other Dr left broken. Dr Lebl took another Drs mistake on to try and make me whole once again!! Without him I nebpver would have know why my body was so mangled and my leg virtually useless, without him I may have given up living because the pain levels where unbearable. He is one of the kindest and best this country has to offer. I might even say he is the best In The world!! Thanks to you Dr Lebl may you live a long and prosperous life. I was confined to a wheelchair for six months and after one spinal surgery I'm now walking on my own power with a cane. Thank you dr . lebl your the greatest. The. Best doctor to check out my back. His bed side manners were great treated me like a human. Not a dollar sing.thank you DR Darren. Lebl. Mrs. Lisa szwed. Dr Lebl is a wonderful surgeon. I brought my 76 year old mother to him and we were treated with great Care from the first day we went to see him. Doctor lebl and his staff were wonderful and took there time in explaining everything to us and we felt confident in him.my mother has rheumatoid arthritis and she was in extreme pain in her cervical spine. 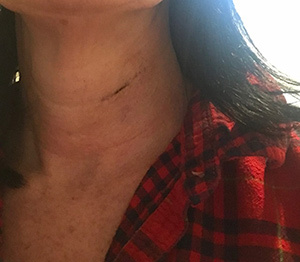 Dr Lebl fused C1/c2 in her neck and the pain that she had before surgery was gone.she still has to go for therapy for her range of motion but after 3 months post op, she’s doing extremely well. We will always recommend dr Lebl and hss.we all had a wonderful experience throughout the whole process and we can’t thank him and his staff enough. I had spinal surgery on Dec. 15, 2017. I had been in constant pain for many years and decided it was time to do something about it. I saw Dr. Lebl in Nov. 2017 and he agreed with me. I was immediately scheduled for pre-operative testing and surgery. I am very pleased with the outcome of the operation. I was treated very well by everyone at doctor Lebl's office, as well as HSS. My only regret was that I had waited so long to concede to surgery. But, honestly, I wasn't mentally prepared until now. I highly recommend Dr. Lebl as an Orthopedic Spine Surgeon. Had back surgery in 2015. He's an angel. Awesome staff. If you're interested in submitting a testimonial for Darren R. Lebl, MD, Please use the form below to do so.